Hari ni bangun pagi2 lagi dah nguli donat. Air liur kempunan dah meleleh-leleh berapa hari dah ni...pegi rumah ke rumah baru2 ni sume ada donat lak... Walau pun masak nasi lemak utk sarapan, buat juga lah donat ni utk lepas kempunan....huhuhu. Along buat donat cuma bila balik kampung sebab demand memang tinggi. Selalu nya kalau buat tak pernah buat sikit, sekilo atau 2 kilo tepung, itu pun kekadang tak cukup you. Tak menang tangan nak menggoreng, angkat je terus kena serbu, hehehe. Nak buat donat ni, sukatan tak perlu tepat, lebih kurang je pun jadi. Kat rumah sendiri tak pernah pun buat donat sebab "bahan2 asli" susah nak dapat kat Miri ni. 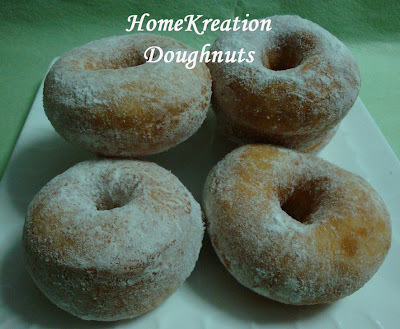 Kat kampung, Along guna yis basah & hanya guna tepung gandum biasa tapi donut dia memang lembut sampai ke petang. Ini kes kempunan punya pasal, kita buat lah jugak tapi modify guna "bahan2 moden" seperti jenis tepung, yis segera & pelembut. Along buat tadi tu, Along agak2 je & lepas tu sukat supaya senang nak share resipi kat sini. 1. Gaul semua bahan2 kering dgn shortening & butter sehingga berderai. Masukkan telur & air suam sehingga menjadi doh yg lembut. Perap selama 30-40 minit sehingga naik 2x ganda. (Tadi cuaca sejuk sbb musim hujan, jd Along masukkan ke dlm oven 5ºC). 2. Uli semula doh & canaikan. Kalau takde acuan, bulat2kan & cocok di tengah2 dgn jari & bentukkan spt donat. 3. Biarkan selama 15-20 minit sehingga mengembang. Salut dgn campuran gula & susu. 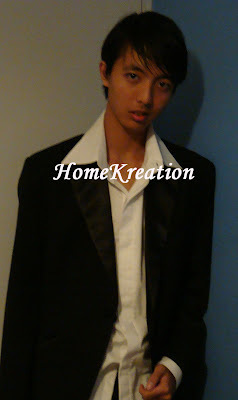 Boleh juga di salut dgn coklat & manik. Light & fluffy bread: Three different shapes: This time I tried bun recipe from Alex Goh and am very please with the result. It produced light & fluffy buns. 1. 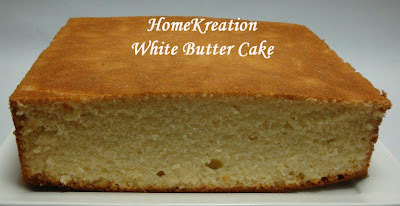 Place all dry ingredients in a breadmaker & mix well using spatula. Add in Egg & Water mix to form a dough. Add in Butter & leave it to process until dough is ready. 2. Divide into small balls & place fillings. Let it proof for 30-40’ or doubled in size. 3. Brush with egg wash if you like. Bake at 180C for 20 minutes or golden. My children were complaining yesterday that I only made the cake for my friend but none for them. To make it up, today I made this cake which recipe is from Auntie Yochana. My whole family is very impressed - not only the texture is soft but it is so buttery delicious with crispy crust when it is hot. 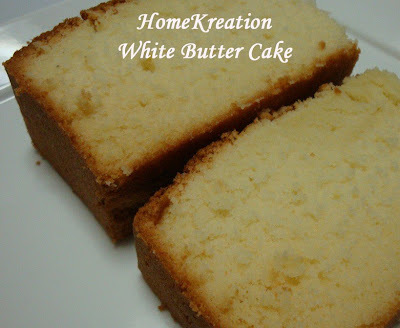 It is the best butter cake I ever eaten so far despite it only uses egg whites. 1. Cream butter, sugar & salt until white & fluffy. Add in flour & milk alternately & mix well with slow speed. 2. Whisk egg whites until soft peak. Add into the butter mixture & mix well. Bake at 180C for 60 minutes. I wanted to give something to my friend LY for Chinese New Year, so I told her to decide what she wants. 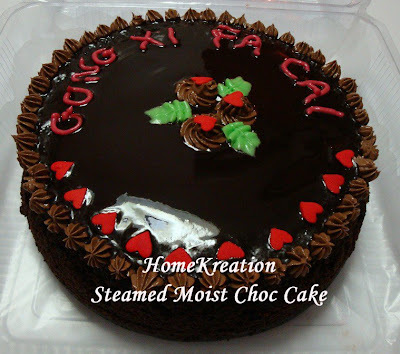 She said she likes my Steamed Moist Choc Cake. So here it goes.... 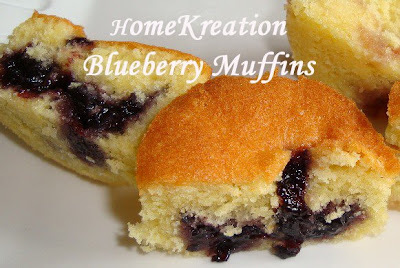 Recipe was posted earlier here. 1. Double chocolate until melt. Add in butter & stir until smooth. Add in milk & stir for a while. Leave it until slightly warm & pour onto the cake. Here is the update... 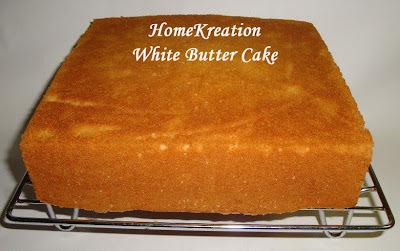 Since it is a simple recipe, I will write it simple too. Anyone don't understand please ask, okay? 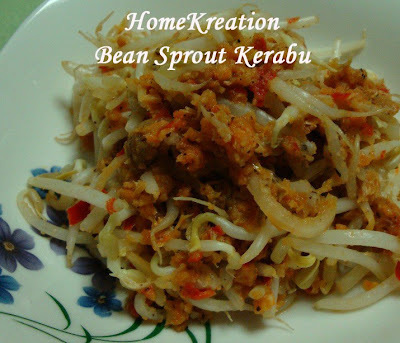 Blanche Bean Sprout + pounded (red chilli, dried shrimps,) + sliced big onion + Kerisik (i.e. pounded roasted coconut) + lime juice + salt + sugar. 1. Heat up oil in pot & fry sliced shallots, garlic, curry leaves, mustard seeds & methi seeds. When boiled, add in fish. Boil until fish is well cooked. 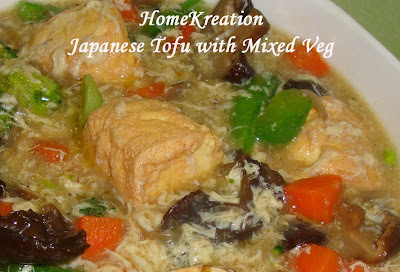 This dish is dry and goes well with the Japanese Tofu that I cooked today. 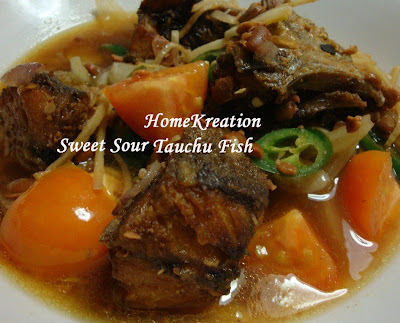 My family likes this dish as it tastes simply "sedap"! 1. 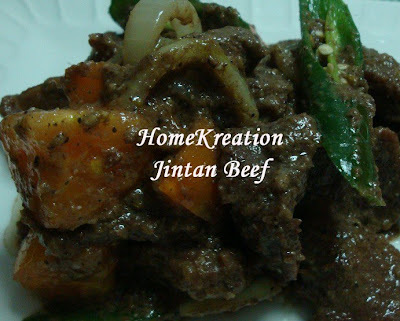 Boil beef with a slice of ginger until tender (I love it pressurred cooked) & drained. 2. Heat up few tbsp oil & fry sliced big onions until golden. Add in pounded ingredients until fragrant. Add in beef & stir 5-10 minutes until well coated with fried ingredients. 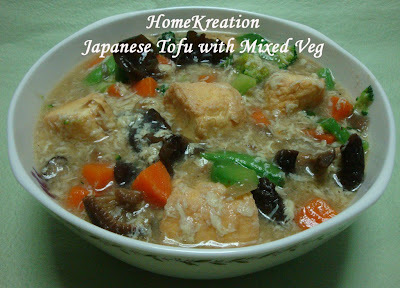 Japanese Tofu cooked in starchy soup is nice when eaten while still hot. 1. Cut each Tofu into 4 & deep fry until golden. 2. Heat up few tbsp oil & fry sliced onions & garlic. Pour in 2 cups of water and add in chicken cubes, salt & pepper. Once boiled, add in all vegetables & cook for 1-2 minutes. Add in cornflour & beaten egg & stir fast. 3. Dish up & serve hot. 1. 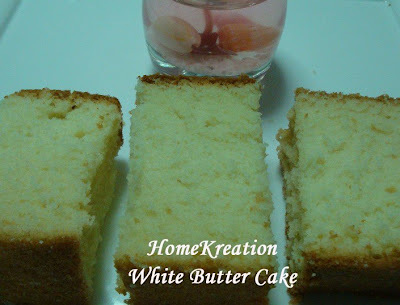 Beat butter & sugar until sugar is dissolved (this method is not in the original recipe). Add in the rest of ingredients & mix to form crumbs. Press into a lined/greased tin (I used aluminium foil) ntil packed. 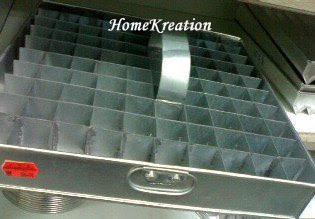 Press the cutter & bake 180C for 15-20 minutes. Leave for 10 minutes before removing the cutter & cool completely. 2. 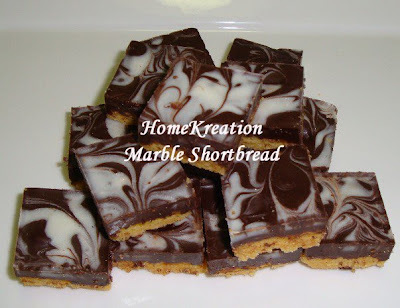 Spread with melted chocolate. 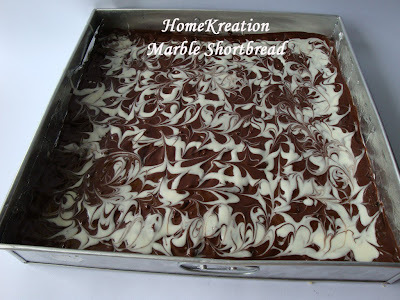 Sprinle white chocolate & make pattern using sate stick. Replace the cutter & chill for 20 minutes or until chocolate is set. 1. Mix all ingredients except butter until dough is coarse. Add in butter & continue mixing until smooth & springy. 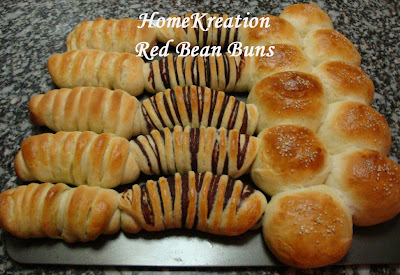 Cover & allow to leaven for 40 minutes or twice the size. 2. 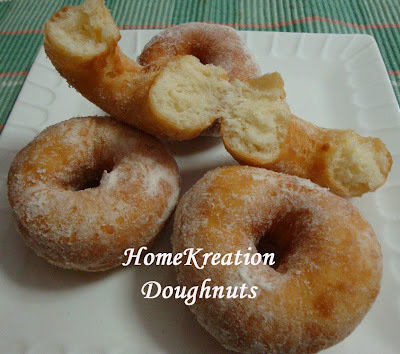 Punch the dough & divide into 2 portions. 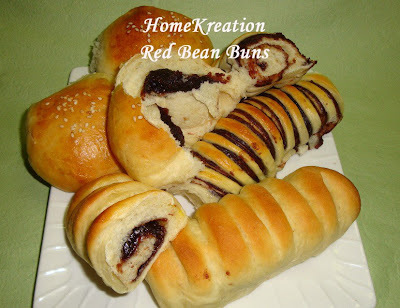 Roll each portion into a rectangular shape. 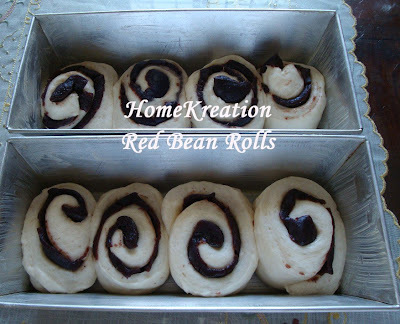 Spread red bean filling & role from the short side. 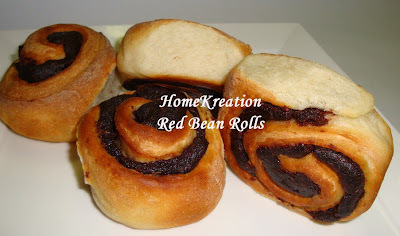 Cut them into 4 rolls & arrange in a baking tin. 3. Bake 180C for 20-25 minutes. This is our today's lunch. 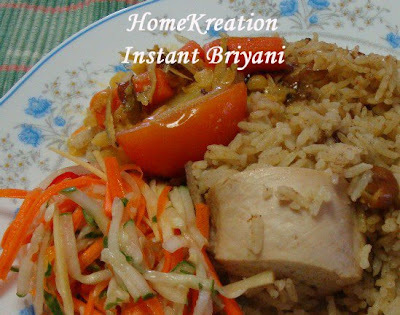 With instant Briyani paste, there is no sweat to prepare this. 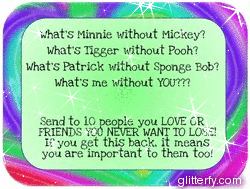 Thanks to my blog friend who gave me all sort of instant paste which save me effort at times when life is hectic. I served the Briyani with fresh vegetable pickles and vegetable dhal (recipe was posted earlier). To make the Briyani rice, just pour the paste into a rice cooker and add in washed rie, water & chicken & press the button....! --> Semenjak ada blog ni, memang suka giler main blogging. Best dapat ramai kawan yg menghiburkan. Ramai nya 10 oranggg... Along tengok dah 10 orang yg dah buat pun... hehehe kita skip jer tag ni ya. Kalau ada sesiapa yg rajin tu, amik ler tag ni k.
Dah seminggu tak berblogging... half-death at office.... walau pun minggu ni Along menyepikan diri, ada jugak orang ingat kat kita.... huhuhu terharu.... maceh Hana kasi yg kat atas tu & Nur kasi friendship quotes kat bawah ni..... mmmmmmuuuuuuaaaaah! Hug-hug-hug! UPDATE 25/1/09 : Che'iza pun ada kasi gift yg kat atas tu.... maceh Che'iza. Mmmmuah! 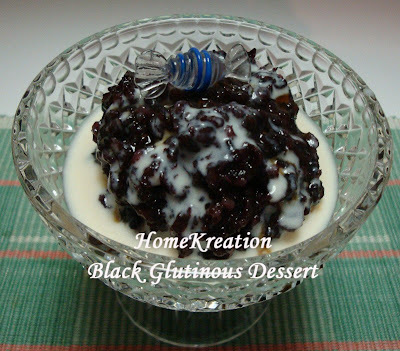 Brought back some black glutinous rice from Peninsular Malaysia recently so made this dessert today. 1. Wash & soak black glutinous rice for an hour. Boil with some water (same depth with the rice) until tender & dry. 2. Place palm & white sugar in a saucepan. Add 1 screwpine leaf & water (just enough to cover the sugar) & boil until dissolved. Pour sufficient amount into the rice pot to your own sweet taste level & stir well. Reserve some palm sugar syrup for serving. Press the into black glutinous rice into a container. 3. To make coconut sauce, place all ingredients* in a pot & boil until slightly thick. 4. 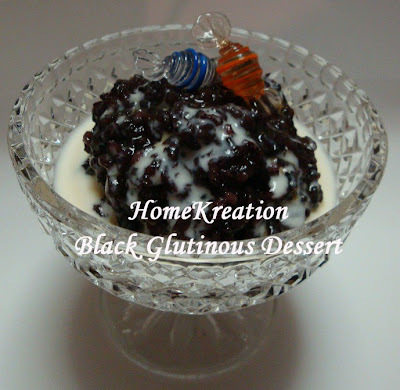 To serve, place a scoop of the black glutinous rice into a serving bowl. 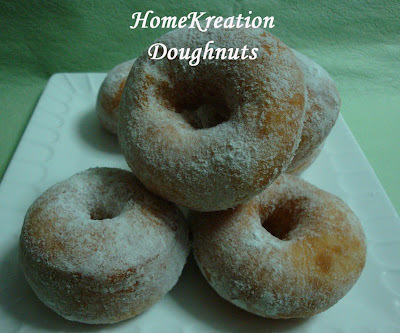 Top with coconut sauce and add palm sugar syrup if you like it sweeter. Since I have some egg whites leftover, I tried this recipe from a blog but must say I am not satisfied with it. I think the flour measurement must be too low & the cake texture is like marshmallow. 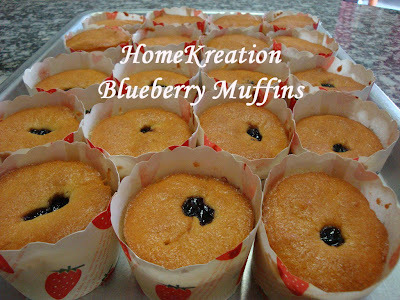 I will not recommend for others to try and hence will not put up the recipe here. It has been heavily raining since last night and has not stopped until this morning. It is heavily raining at the moment. The Lutong River has overflown and roads are flooded. We prefer to stay in the house for safety (but also curling very lazy when the wheater is wet & cold...hehe). Aaaah... (sighing) as usual I am the one who has to think on the daily menu... we could not even go out for breakfast.... O'ooooh suddenly I remember what my blog friend has sent me... an instant Laksa Johor paste sounds very easy to prepare!! Mmmuah... Thanks ya, what a help....! 1. Place water, paste & the whole chicken breast in a pot & boil until chicken is cooked. Pick the chicken out & put aside. Add into the pot, coconut milk, fish balls & sausages & boil further. Lastly add in mustard leaves & off fire. 2. Serve meehoon with the cooked gravy, shredded chicken and chilli oil. Today we had a New Year party in the office so I baked this last night. 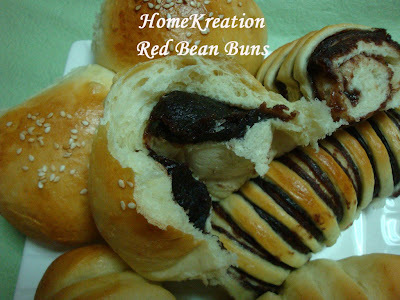 The recipe is by Yani, the most famous sifu in MyR. 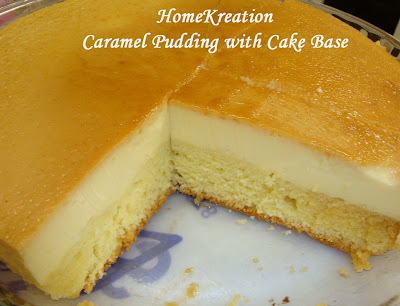 A very special recipe as unlike typical caramel pudding, this one has a cake base. 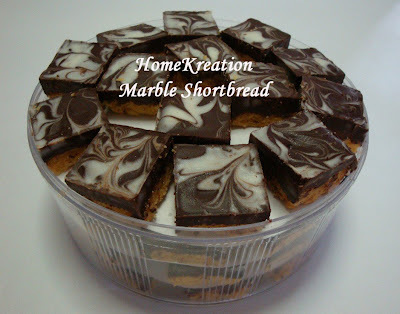 More surprisingly, it does not require you to bake the two layers separately and they nicely split themselves (but sticks well to each other) once baked. Here is the recipe transalated into English. 1. Mix sugar with 1 tbsp water. Stir on stove until it turns golden & off fire. Add in 2 tbsp water & stir until no lumpy. Pour into a greased tin. 2. Mix milk & sugar & stir on fire until sugar is melted. In a separate bowl, beat lightly egg & EV (careful not to let the egg frothy otherwise the pudding texture will have holes). 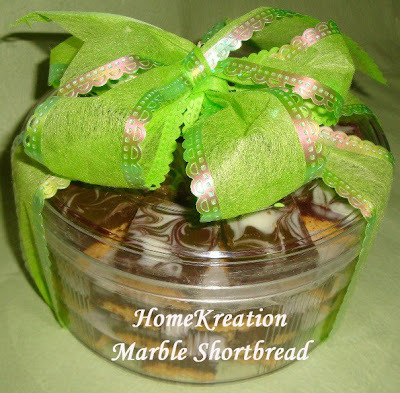 Pour into the tin on top of the caramel. 3. Beat egg whites with ½ of the sugar until stiff. 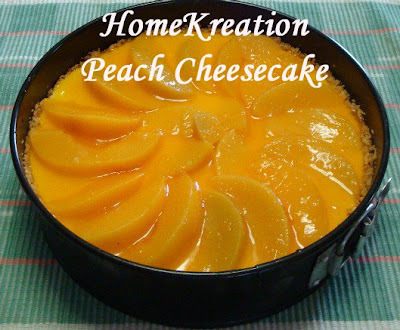 In a separate bowl beat egg yolk with the remaining ½ of the sugar until thick. 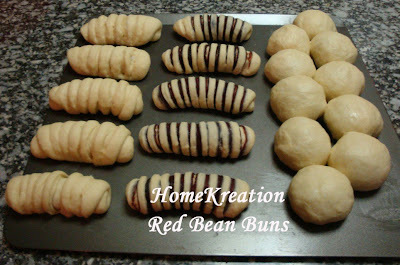 Fold in flour & lastly add in butter & mix well. 4. Bake in a water bath 170C for 40 minutes. Cool completely before turning it out from the tin. 1. In a non-stick pot, heat up oil. Rub chicken with turmeric powder & salt. Shallow fry in the oil until golden on the outer parts. Pour in the blended ingredients, 1 tsp turmeric powder, sugar & salt. Stir until ingredients are dry & fragrant. Add in turmeric leaf and coconut cream. Add in Kerisik and cook for another 2-3 minutes. 2. 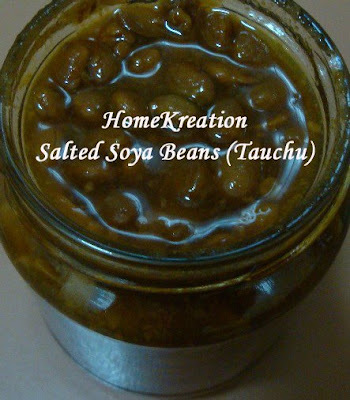 Dish up & serve with rice, glutinous rice or rotis. It has been a long time since I last cooked this. I had an additional plate of rice tonite as this dish really increased my appetite...! 1. Clean fish & rub with salt & turmeric powder. Heat up oil & deep fry fish until cooked. 2. In a wok, heat up a few tbsp oil & fry the sliced ingredients*. Add in Taucu & fry for 1 minute. Pour in tamarind juice, salt & sugar. 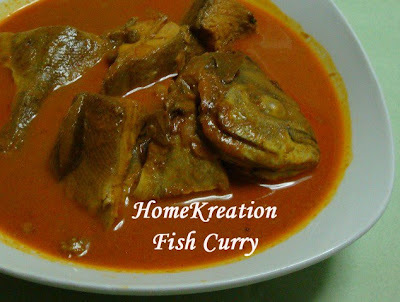 Add in fried fish & tomato and boil for few minutes. 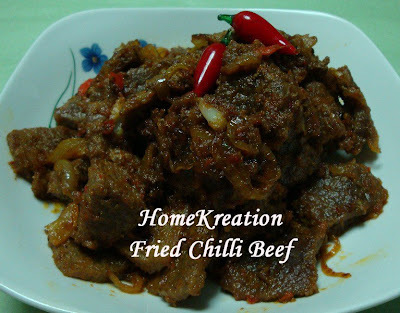 This spicy beef dish cooked in a Malay traditional style is simply irresistable. Make sure beef is fresh to obtain delicious result. Although I can very well cook this myself, I still feel that my mum's cooking is always a lot better. 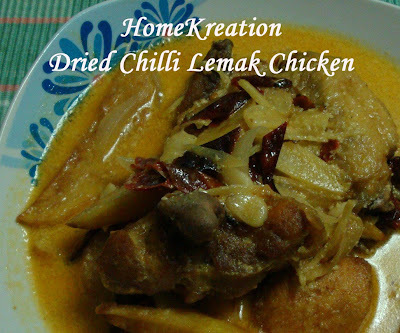 She knows that I like this dish, so this is a sure menu when I visit my kampung. 1. Heat up oil & fry blended ingredients until fragrant. Add in beef, water, salt & msg and pressure until beef is tender. (If you do not have a pressure pot, add in extra water & boil until beef is tender & gravy is dried up). Add in tamarind juice, onion rings, green chillies & tomato. Stir for few minutes & dish up. 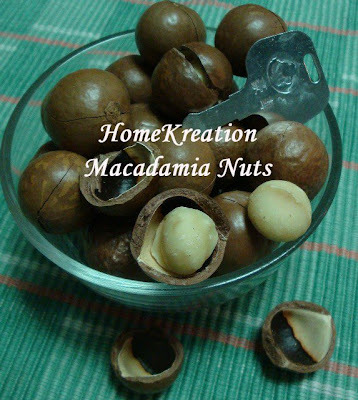 Showing herewith in case anyone has not seen Macadamia nuts in its shell. Each shell has got a crack which can be opened using the key provided. The nuts have been roasted & tasted very crunchy. This is my favourite snack. 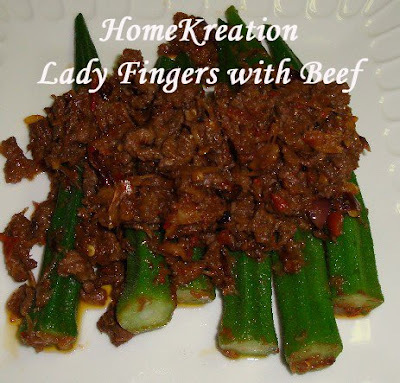 My hubby loves lady fingers & he bought it recently for me to cook. 1. Blanche Lady Fingers in boiling water until tender. Dish up & cut off the top of each Lady Fingers. 2. Heat up few tbs oil & fry pounded ingredients. Add in beef, salt & MSG. Stir fry until beef is cooked. Add in Lady Fingers, stir for a while & dish up. Using dried chillies instead of fresh chillies for this recipe will produce a different aroma. 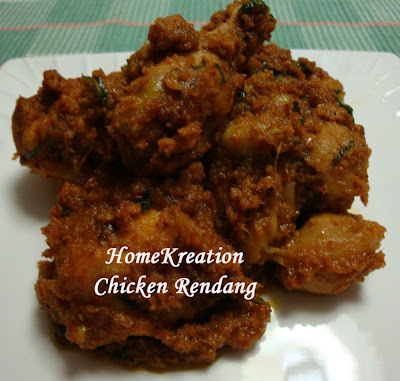 I remember my late grandmother used to cook this everytime our father took us backed to his kampung in Sitiawan. 1. Rub chicken with salt & turmeric. 2. Heat up few tbsp oil & fry onion, chillies, garlic & ginger until fragrant. Pour in coconut milk & add in turmeric powder, tamarind & salt. Boil & add in chicken potato & cook for another 5 minutes. 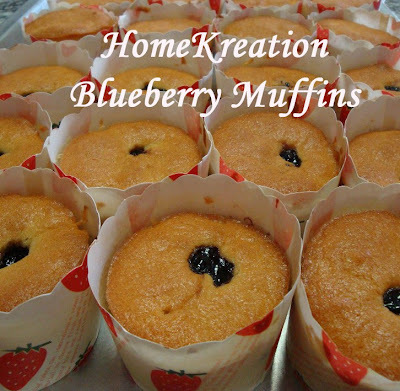 On the right is a strawberry jam muffin. 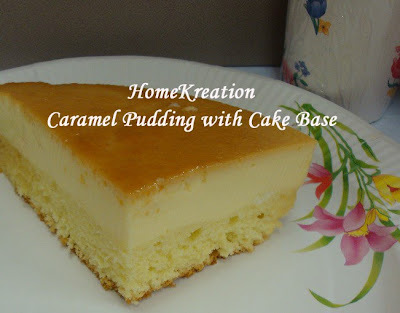 Tried this recipe by Yani from MyR for gathering the other day. I love it so much - lovely butter taste, soft & crumbly. As recommended by Yani, I have reduced the sugar amount slightly. The recipe below is a doubled up from the original. 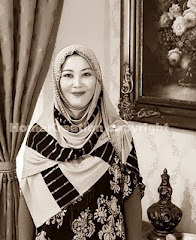 Terima-kasih ucapan dari Nur, semuga Nur & keluarga mendapat keberkatan yg berlipat-ganda di tahun ini. Mmmuah! Made for gathering the other day. 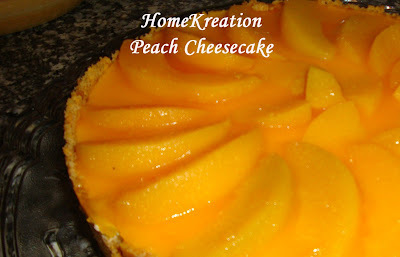 I used the same recipe with Mango Cheesecake I created earlier but replaced Mangoes with Peaches. Taste is equally fabulous! 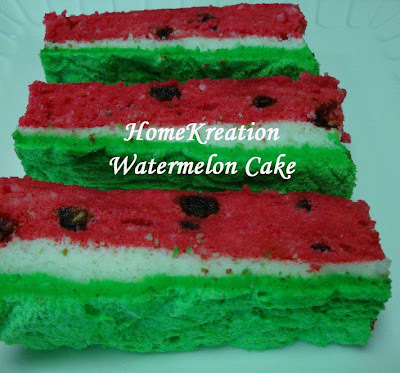 For recipe, see here.